After a long period of waiting, the first time we saw Vision S concept was at 2016 Geneva Auto Show, today we finally have a glimpse at the first photos of Skoda’s brand new SUV – The 2017 Skoda Kodiaq! 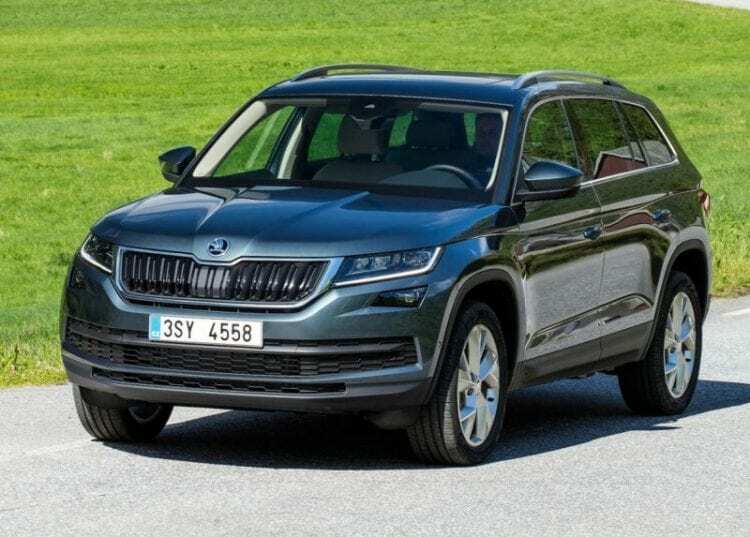 Skoda Kodiaq is the first, and Skoda expects it to be first of many SUV’s to come, from this manufacturer which hopes to make a serious impact on this market. 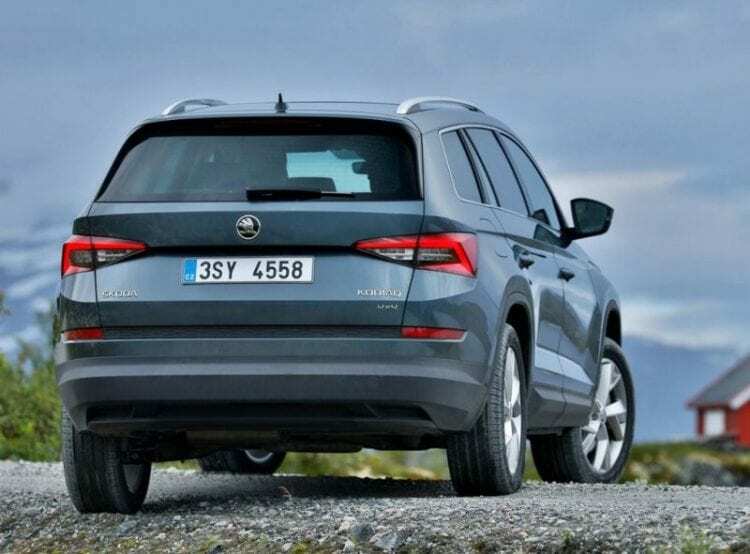 Together with Kodiaq, Skoda plans to launch Yeti replacement – which will be more similar to VW model Tiguan and SEAT’s first ever SUV – the Ateca. 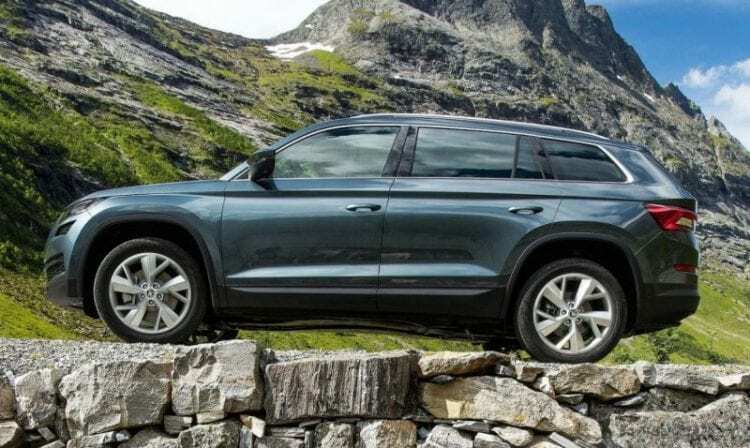 According to rumors, Skoda doesn’t plan to stop there, but instead to aim at small SUV’s market, and compete directly against Peugeot 2008, Audi Q2, Vauxhall Mokka and Renault Captur. In addition to this, they are going to expand their production line with adding, Evoque-like SUV coupe that will compete with X4 BMW and GLC Coupe Mercedes. Talk about ambition! Despite all these plans, Skoda’s first SUV is Kodiaq, and it is going to be full-size 7-seater SUV aimed directly at Santa Fe, Land Rover Discovery Sport and Nissan X-Trail. After seeing first images of 2017 Skoda Kodiaq, we can tell that it’s not much different from Vision-S concept on which it is based, and this doesn’t come as a surprise. Front grille, together with slim headlights is a complete replica of its concept predecessor. On top of that C-shaped rear lights are the things that stayed completely unchanged. These rear lights can even be called Skoda’s design trademark. Engine wise we are going to encounter familiar lineup. 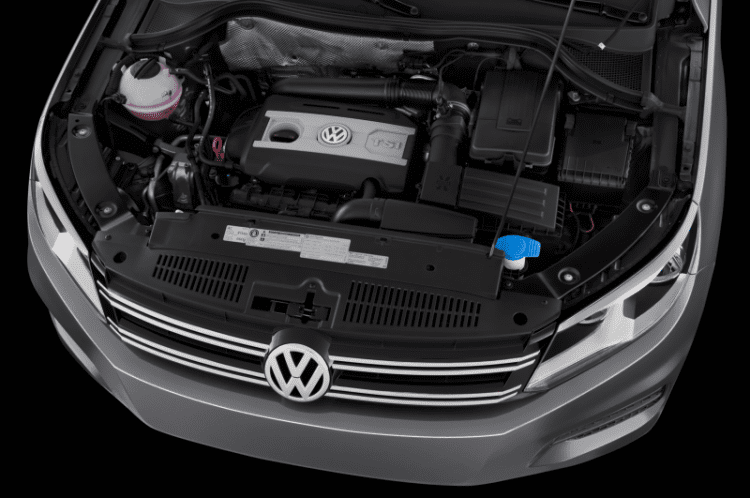 Skoda is, as we all know closely tied with VW, and VW engines are what we are going to find under the hood. As we are a costumed by VW, the engine options are turbocharged 1.6 and 2.0-liter diesel powertrains, which are expected to be Skoda’s bestsellers. Entry level and cheapest option is supposed to be the plug-in hybrid version of Kodiaq, but that one comes to the market on a later date than diesel ones. In addition to this, there will also be two 1.4 petrol engines, one boasting 123 bhp, and other 148 bhp respectfully. Third petrol option will be 2.0-liter turbocharged I4, by the way, the most powerful version, offering 177bhp. 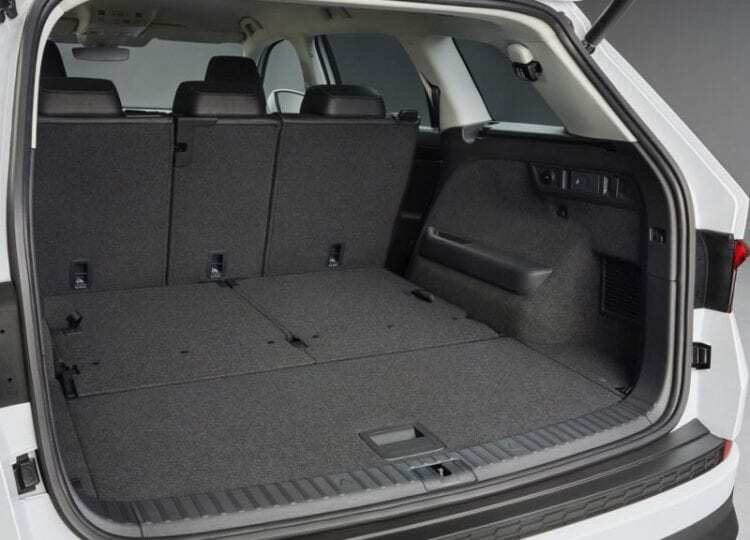 Regarding the cargo capacity, Skoda claims that Kodiaq will boast the largest boot of all of its competitors. 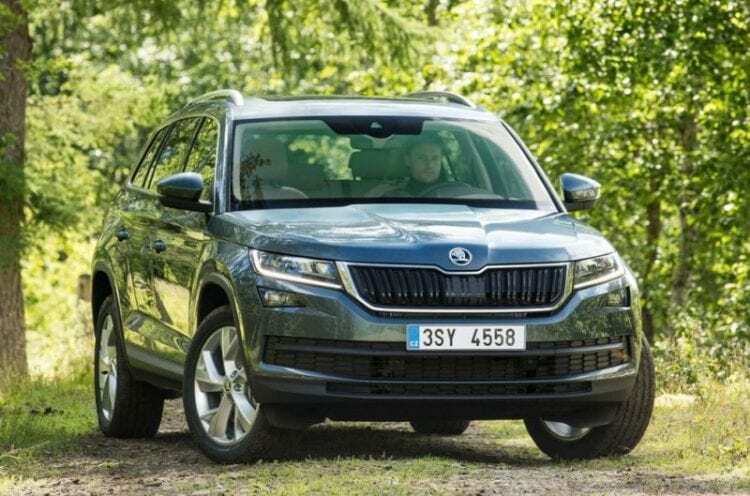 These, together with Kodiaq’s focus on technological solutions, SUVs practicality, and indoor connectivity, will be Skoda’s main weapons in an attack on SUV market. 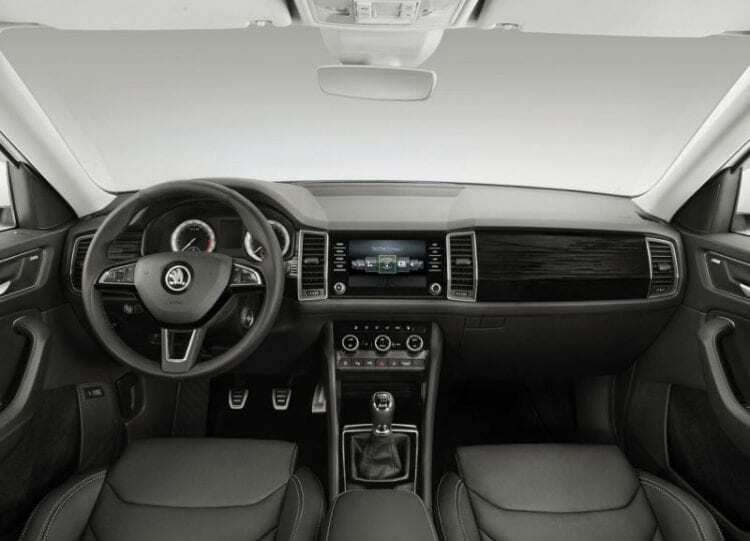 While using standard options that in-car web allows, passengers of the Kodiaq will also have access to Skoda’s Car Connect service that will enable them to dig deeper to look into cars features, find the vehicle on the parking lot, or even to configure some of the car aspects. Kodiaq will also be equipped with an eCall function that is emergency call system which will be automatically activated in case of a car accident that triggers the airbags. Following the standards and trends in the car industry, Kodiaq will like most of the modern vehicles, be equipped with Apple CarPlay, Android Auto, and MirrorLink. These features will come as standard equipment on all trim levels. Skoda’s addition to these standard apps will be ‘phonebox’, which uses wireless inductive charging allowing your phone battery to be always full and connected to an aerial system of the car that improves the signal. Some of the other standard equipment on Kodiaq are a range of cameras that allow you 360* view around the car, towing assistance system, automatic breaking sensors, and adaptive cruise control. There is no official price for 2017 Skoda Kodiaq, but as they expect to swipe away the competition, they will have to start with attractive price point. $27,000 sounds good for starting point as they look to establish themselves beneath Kia Sorento, Land Rover Discovery and Santa Fe from Hyundai. This is the estimated price for an entry-level model, while the top trim called Laurin&Clement will go as far as $50,000. As a result, it would give the Kodiaq the moniker of the most expensive Skoda of all time. Since we just witnessed an official presentation on 1 September in Berlin we can’t expect first Kodiaq’s before the January of 2017.